Available also on Amazon Kindle and Google Play! Arginine and Health is a series of popular scientific publications about the amino acid arginine and its effects on health. Arginine – The Basics is the first part in this series, and it focuses on the basic facts about arginine, such as arginine as a chemical substance and the dietary sources of arginine. 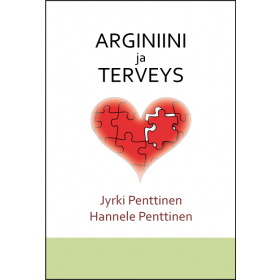 Also, in this first part, the authors introduce some more advanced topics, such as the symptoms that should be regarded as warning signs of arginine deficiency, and the metabolic processes behind these symptoms. These topics will then be investigated further later in the series. 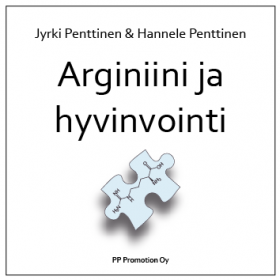 The leading scientist, Jyrki Penttinen, MD, has been doing research on arginine for over 25 years. In addition to scientific research publications, he has written several best-selling popular science books on arginine and its health benefits. 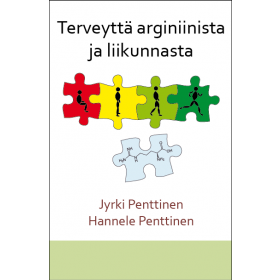 The second author Hannele Penttinen, MA, brings a pedagogical and sociological perspective to the research, and has also co-authored several of the books on arginine. The Arginine and Health series does not endorse any specific arginine products. It is not allowed to use the publications for any marketing purposes. You can also preview and buy an electronic version of this publication. The title is available on Amazon Kindle and Google Play. 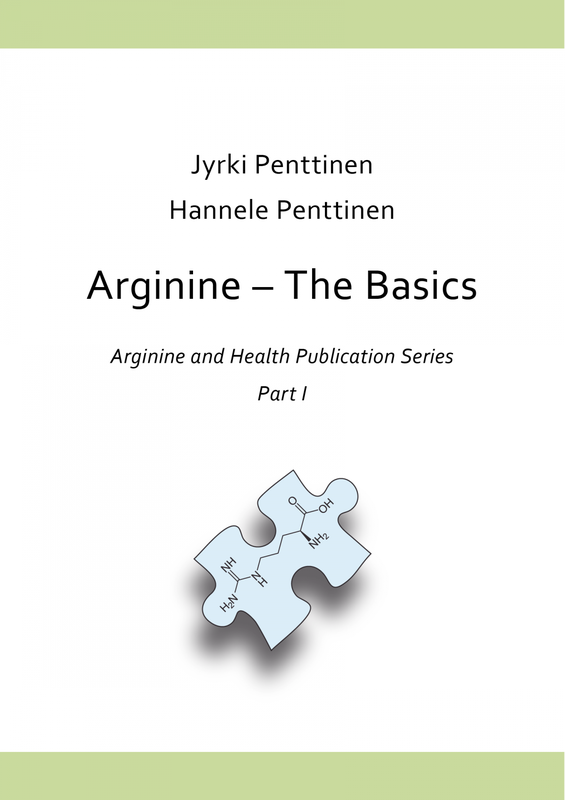 Arginine and Health is a series of popular scientific publications on the amino acid arginine and its effects on health. Arginine – The Basics is the first part in this series, and it focuses on the basic facts about arginine, such as arginine as a chemical substance and the dietary sources of arginine. Also, in this first part, the authors introduce some more advanced topics, such as the symptoms that should be regarded as warning signs of arginine deficiency, and the metabolic processes behind these symptoms. These topics will then be investigated further later in the series. The publication series is based on original research as well as thousands of peer-reviewed scientific articles. The publications have been written so that the basic concepts are easy to understand and apply in daily life. In addition to theory, the authors have included a few real-life cases. In these cases, they give examples of the effects of arginine for different target groups. Also, in each publication, the authors discuss common misconceptions about arginine. Over the course of this series, the reader gains a deeper understanding on how arginine supports a healthy metabolism using body’s natural mechanisms, and which metabolic factors are of key importance for a healthy, medication-free lifestyle. The series is suitable for anyone interested in their own or their loved ones’ health.